It's not altogether surprising to me that fewer than 50% of students in transfer schools don't make it. After all, we're pulling from a pool of 100% that didn't make it before. To me, that's a predictor. But to reformy types, I suppose that's yet another failure. After all, schools with high percentages of special-needs students are always labeled failures, always closed, and the reformy Tweedies are always patting themselves on the backs and saying what a great job they did closing those schools. Then the kids from those closing schools get dumped into other schools, which develop stats similar to the closed schools, and then more schools close. What does this mean? Well, this means we need more charter schools, which tend not to have ESL and alternate assessment students, and sometimes miraculously improve the grad rates. The fact that they shed inconvenient students along the way is of no consequence. In any case, I have a solution to this vexing problem. Since public schools are all so awful, and since charters are so wonderful, let charters exclusively serve these tough kids. 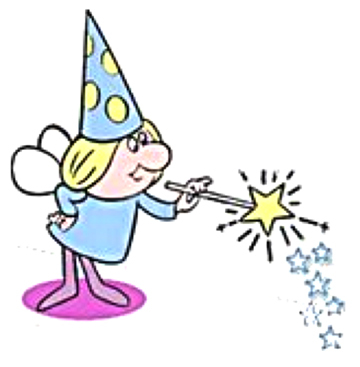 Let Eva Moskowitz and Geoffrey Canada sprinkle their fairy dust on these children, and let them make everything better. For goodness sake, Canada is on American Express commercials. He must have the secret sauce. So from now on, let's dispense with all this lottery nonsense. Why on earth should our system favor parents proactive enough to actually enter? Let's take our neediest children, the ones Michael Bloomberg places First, Always, and let's give them direct access to these utopian charter schools. It's a simple fix. I only wonder why Joel Klein didn't think of it himself.